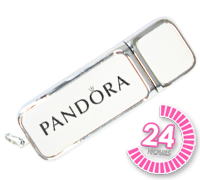 Do you need branded USB memory sticks delivered next day? or require printed USBs in a rush with a quick turnaround time? 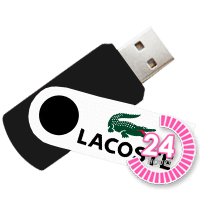 Well we can deliver logo printed USB stick to your door in less than 24 hours* We currently stock 12 styles of USB flash drive that are all branded in-house in spot colour’s, full colour or laser engraved. Available USB flash memory capacities are 128Mb, 256Mb, 512Mb, 1Gb, 2Gb, 4Gb, 8Gb 16Gb and 32Gb. 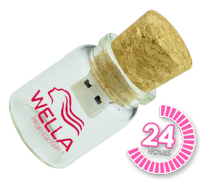 Minimum order quantity is from only 10 USB drives or USB boxes printed with your companies logo, and on the flip side, we can produce orders up to 3,000 units in less than 48 hours. So if you have left it to the last minute, in a rush, need a fast turnaround for your logo branded USB memory stick project, then you can count on us to deliver on time… Every time! * Based on artwork approval and order placement prior to 1 pm – next day delivery Via DHL – UK Only. International express orders delivery times would be dependent on the DHL air transit time to your country – 1 / 3 days. 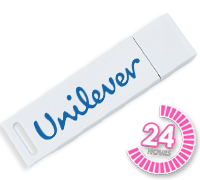 Do you need branded USB memory sticks delivered next day? 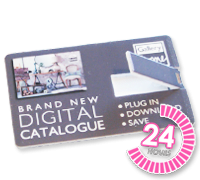 or require printed USBs in a rush with a quick turnaround time? 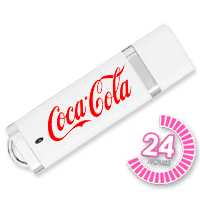 Well we can deliver logo printed USB stick to your door in less than 24 hours* We currently stock 12 styles of USB flash drive that are all branded in-house in spot colour’s, full colour or laser engraved. Available USB flash memory capacities are 128Mb, 256Mb, 512Mb, 1Gb, 2Gb, 4Gb, 8Gb 16Gb and 32Gb. Minimum order quantity is from only 10 USB drives or USB boxes printed with your companies logo, and on the flip side, we can produce orders up to 3,000 units in less than 48 hours. 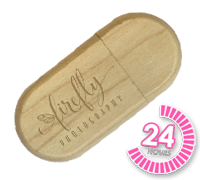 So if you have left it to the last minute, in a rush, need a fast turnaround for your logo branded USB memory stick project, then you can count on us to deliver on time... Every time! * Based on artwork approval and order placement prior to 1 pm - next day delivery Via DHL - UK Only. International express orders delivery times would be dependent on the DHL air transit time to your country - 1 / 3 days.